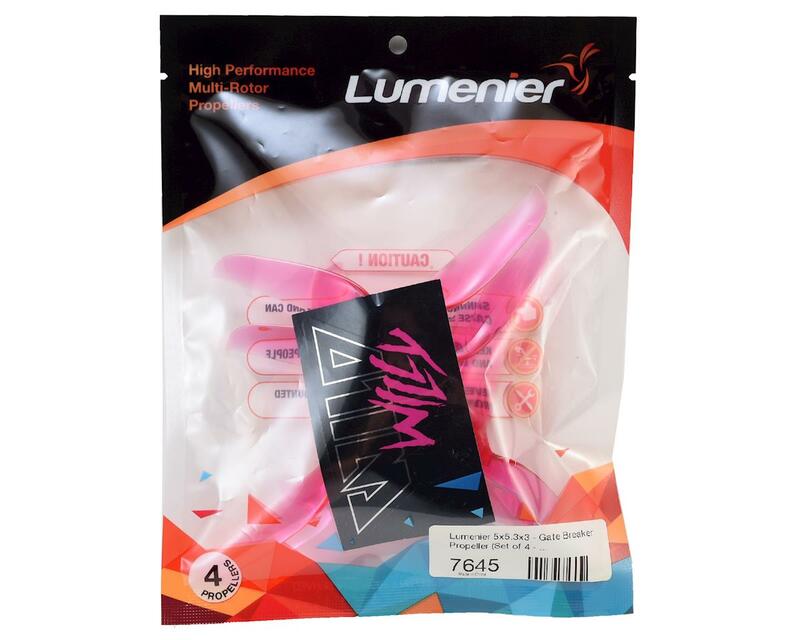 The Lumenier 5x5.3x3 Gate Breaker propeller is designed for high speed, durability and extreme performance. This unique and aggressive airfoil provides incredible thrust throughout the entire power-band, resulting in a "locked in" feel while flying with quick throttle response and acceleration. In addition to incredible power potential, the Gate Breaker also has great efficiency. Most high performance propellers suffer from high amp draw to achieve top-end thrust, but the Gate Breaker advanced airfoil allows for both high performance and good efficiency. The Gate Breaker uses airfoils that provide high coefficients of lift at extremely high angles of attack, without any stall characteristics. This trait allows for an extremely high pitch, fast, and aggressive propeller that is efficient even at static thrust conditions where other high pitch propellers suffer. 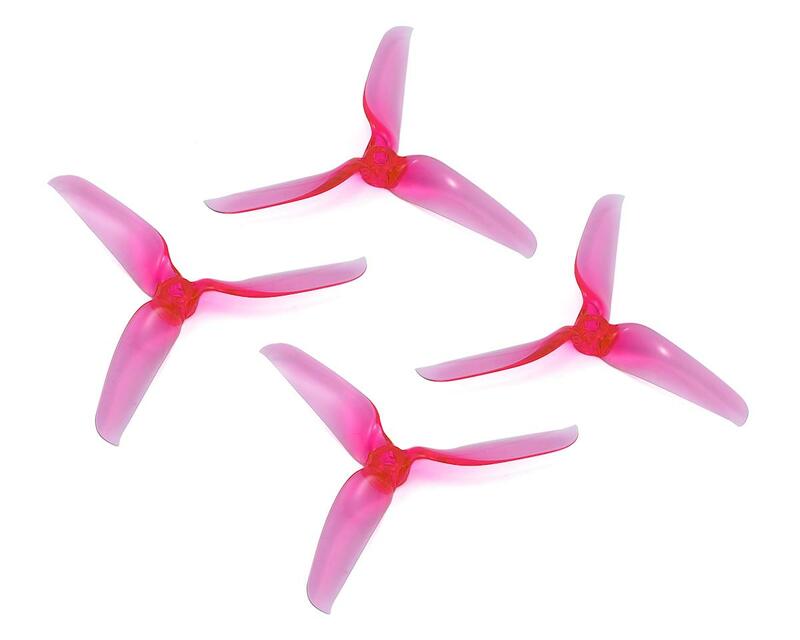 The Gate Breaker propellers are made from a new ultra-durable, crash resistant polycarbonate material. This allows the propellers to resist breaking in a crash or prop strike. Now you can clip a gate or a tree branch and keep flying! Each blade is 100% balanced direct from the mold as well, giving you smooth and precise flight characteristics. Given the operating points and design goals, Lumenier produces unique airfoils leveraging a proprietary genetic algorithm that iterates 10s of thousands of possible airfoils and compares them to each other and also a library of well known existing airfoils. This creates the best possible and most suitable combination of airfoils as well as overall blade design. For this reason, no 2 blades on any Lumenier propeller are the same.